This content is provided by John R Heisse II. John Heisse, a Pillsbury Litigation partner, guides global developers, builders, owners and designers through every phase of complex public and private construction. John has successfully represented clients regarding major transportation, energy, hospitality, professional sports, housing and health care projects around the world. 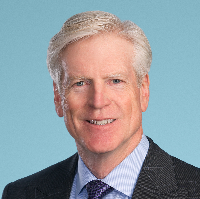 He draws on his engineering background and deep legal experience to counsel clients on project planning, contracting, contract and delivery issues, and to resolve disputes through negotiation, arbitration, and litigation. John is a past chair of Pillsbury’s Construction Counseling & Dispute Resolution team, a Fellow and Officer in the American College of Construction Lawyers, and a past Chair of the American Bar Association’s Forum on Construction Law.